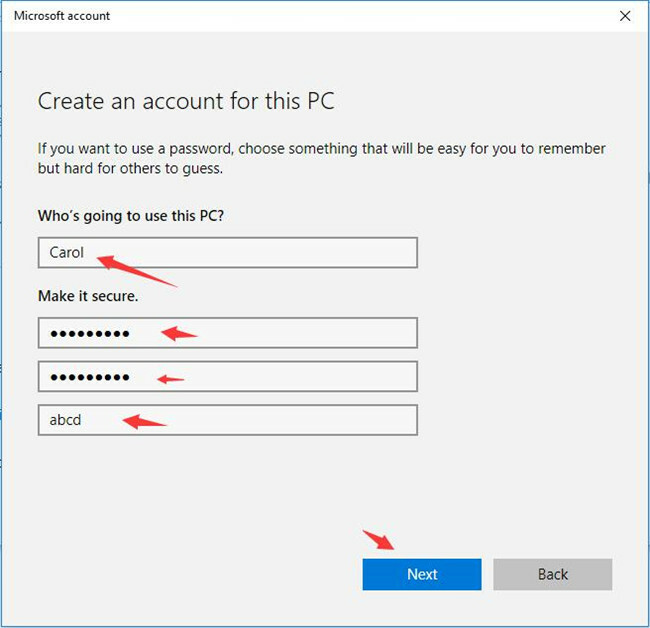 It is a common phenomenon that when you attempt to log on to your PC, Windows 10 we can’t sign into your account appears with the error message saying this problem can often be fixed by signing out of your account and then signing back in. If you don’t sign out now, any files you create or changes you make will be lost. Since you failed to sign in Windows 10, you can do nothing on your computer. Therefore, there is much urgency to fix this Windows won’t sign in problem. If you can’t sign into your device right now, normally, Windows 10 will temporary profile and sign you in that one. 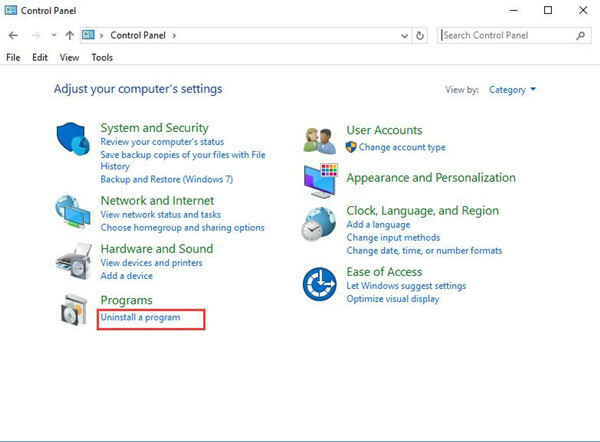 Then you are able to login in to completely solve Windows can’t sign into your account with the assistance of the following ways. In the first place, you may need to reboot your computer to see if it works this time to evoke your account Windows 10. And in another hand, it is to save the data of your account. Just try to restart your PC for several times and it is likely for some users that you are able to take notice of the error we can’t sign in your account, this problem can be fixed by signing out of your account disappeared. If Windows 10 can’t login in persists, move on to try more methods. Possibly, sometimes, the corrupted system files will also lead to we can’t sign into your account in Windows 10. Thus, it is necessary for you to check these files with the inbuilt tool-System File Checker (SFC). 1. 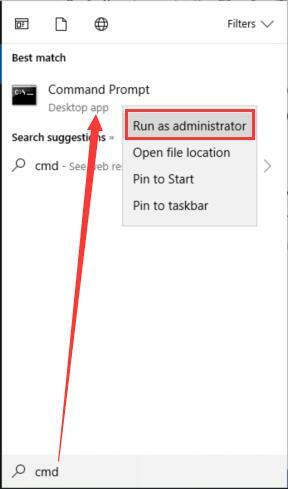 Input Command Prompt in the Start search box and then right click the search result to Run as administrator. 2. In Command Prompt, type in sfc/scannow and then hit Enter to run System File Checker. You can observe that Windows 10 is detecting your files and it will also automatically correct some file corruption if any. With the system files are corrected, maybe Windows 10 can start without the error message We can’t sign into your account. It is said that some antivirus programs, like Avast can cause you unable to sign in your account Windows 10. Probably, these third-party applications have brought virus to your PC, thus leading to the account issue. In this way, you would better manage to remove them temporarily in order to fix can’t sign into Windows 10 error. 2. In Control Panel, under Programs, click Uninstall a program. Here once you have not found Programs, you can try to View by Category. 3. In Programs and Features window, find out the antivirus software and then right click it to Uninstall it. 4. Restart Windows 10 to take effect. When you attempt to login in again, you will not see the error message prompting you that Windows 10 we can’t sign into your account. 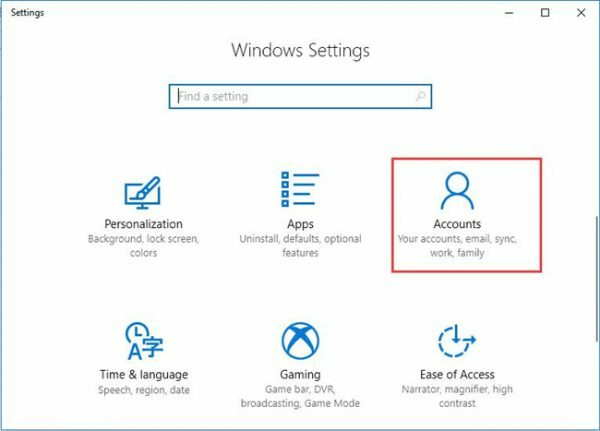 Now that there are possibilities that the account profile may be damaged or deleted, in this sense, giving rise to can’t sign in Windows 10 account error, you are supposed to add a new account to check if it can make the account problem disappear from you. 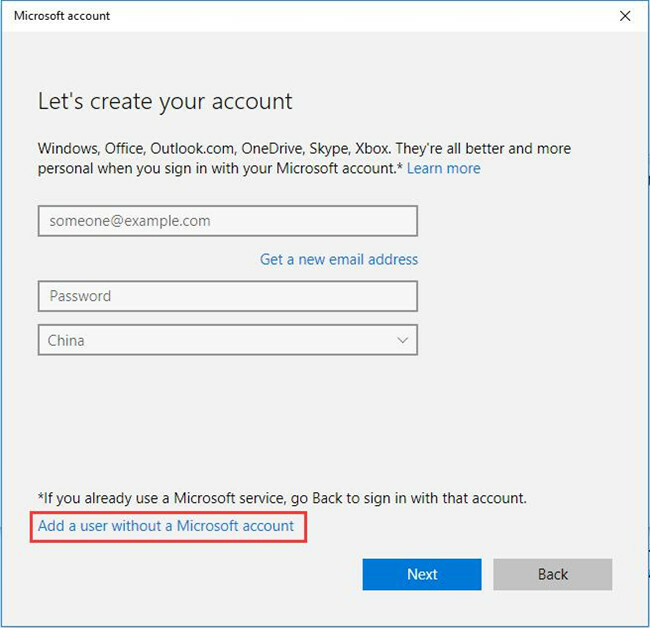 If it is helpful for you to solve Windows 10 we can’t sign into your account issue, you may as well use this new account to replace the old one. 3. Hit I don’t have this person’s sign-in information. 5. In Create an account for this PC, enter the account name, password and then click Next. 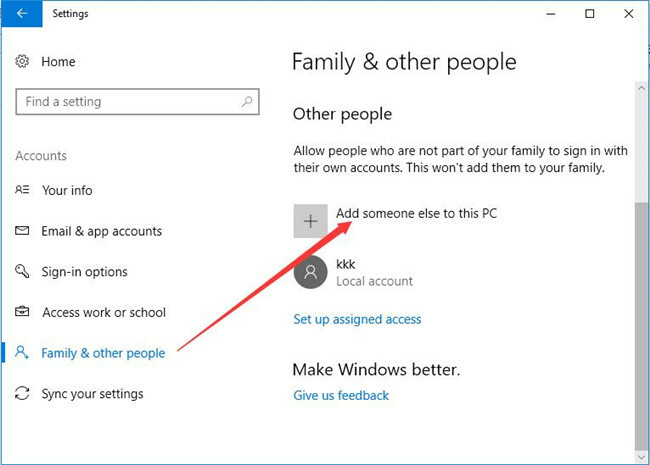 Now you can go back to Account settings to see the account you have just added for your PC. Logging in with the new account, you can notice that can’t sign in Windows 10 has been resolved. Therefore, it is useful for you to delete the problematic account that leaves you we can’t sign into your account Windows 10. 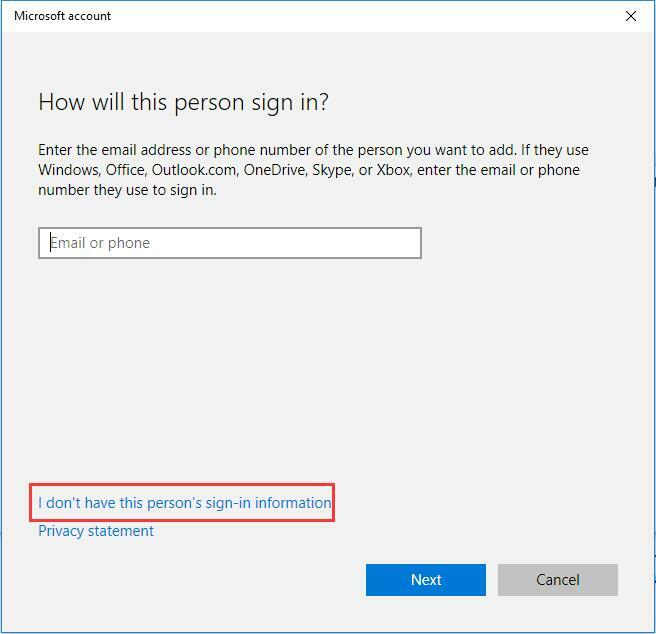 All in all, you will find an effective solution in this post to fix Windows 10 can’t sign in issue. But even if you are unable to achieve this goal, you can also try to restore Windows 10 to see if it helps.